Lenten Mission 2015 What is the Blue Envelope? 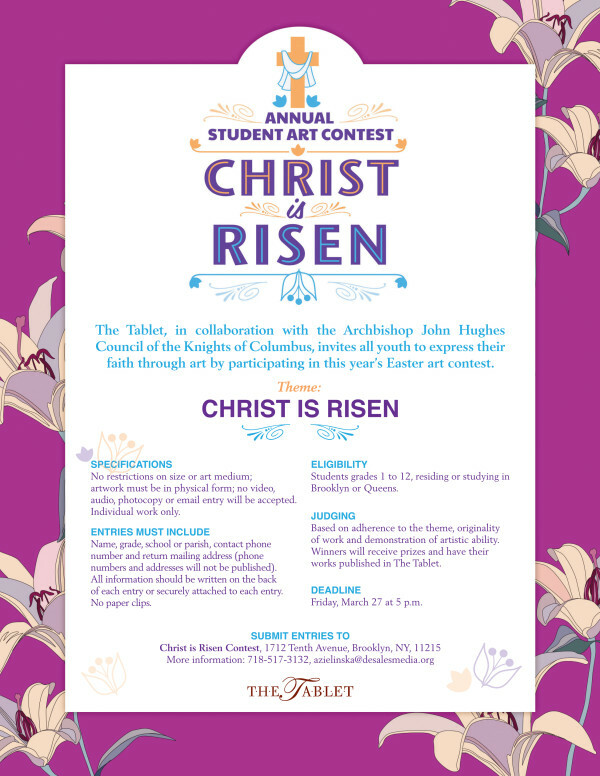 Students in Grades 1-12, living or studying in Brooklyn or Queens are invited to prepare for Easter by participating in the annual “Christ is Risen Art Contest” organized by The Tablet newspaper and sponsored by the Archbishop John Hughes Knights of Columbus. Last year 1,800 entries were received! This year’s deadline: March 27 at 5 p.m.
For more information, contact Antonina Zielinska: 718-517-3132. To view the flyer with details, click here.